No need to improvise your pre-event promotions! 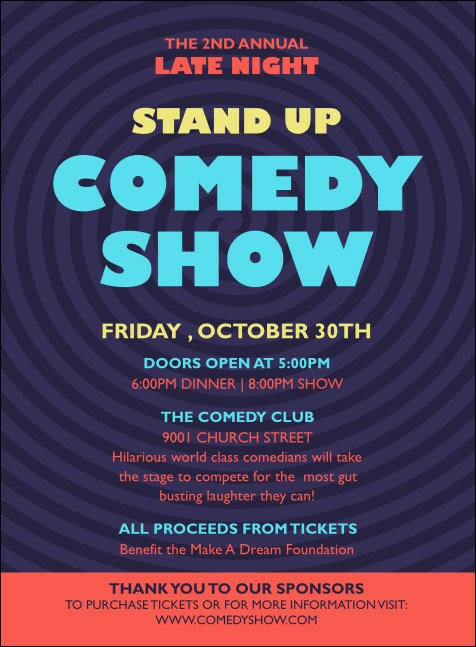 Send out Comedy Spirals Invitations to your guest list, and get a turn out for your show that’s no joke. Each Invitation features a mind-bending black spiral design in the background and includes a bright red stripe at the bottom. The joke’s never on you at TicketPrinting.com!